Healthcare is at the forefront of most people’s minds these days. Whether you’re looking for affordable healthcare or needing to get your next prescription filled at a fair price—there’s a lot to consider. If you choose to buy your prescriptions online, you might even find yourself wondering if you’re searching for the right terms, or if you’re safe in buying your medication from an online pharmacy. Whatever your pharmacy or drugstore related question is—we have some answers for you. What’s in a Name? Pharmacy or Drugstore? Sometimes words can be confusing, especially when crossing country and cultural boundaries. When you’re searching for the right place to get affordable medications for you and your family, not understanding the meaning behind the words can be confusing at best, and daunting or overwhelming and costly at worst. Have you ever found yourself wondering, “What’s the difference between a Drugstore and Pharmacy?” If so, you’re not alone. Plenty of people get confused by these two very similar terms—especially if you live outside the United States. A drugstore is the overall store a person would go into to pick up their prescription medications. However, it’s more than that. A drugstore will often have other products on display and for sale—anything from over the counter medications to local area trinkets, clothes, and even toys. A pharmacy, on the other hand, is the area of the drugstore where prescription medications and all pharmaceutical products are handled. A certified pharmacist is on-hand at all times and helps to check, administer, and direct customers on the usage, side effects, and interactions of any medication going through their pharmacy. To break it down a little more, in my small town we have a local drugstore, but if I were to go to Target or Walmart for my prescriptions, I would head over to their pharmacy department within the greater store. 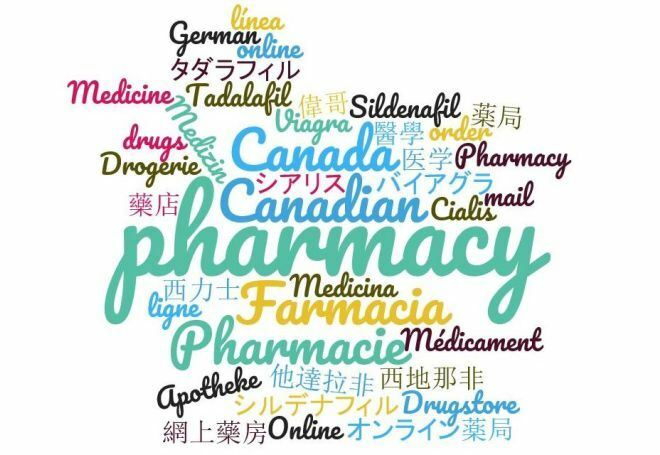 Other alternative names you may see thrown around regarding pharmacies include: online pharmacy, online drugstore, mail order pharmacy, internet pharmacy, Canadian pharmacy, etc. In fact, did you know Canada isn’t the only place to get your medications online? There are online pharmacies all over the world, including those in India, Japan, China, the UK and other countries. Local or Online? Which Pharmacy is Best? Regardless of where you choose to fill your prescription medications, the key is to find a pharmacy that is both reputable and reliable. There are pros and cons to each pharmacy type, so only you can decide which pharmacy matches your needs best. When looking for the best local pharmacy, it’s smart to start with the ones closest to you, and then hunt for their reviews. Check Yelp, Facebook, and Vitals for comments left by other patients. Go down in person and check out the store. •	Is the pharmacist available to ask questions? •	How busy is it? •	What other products do they sell in the store? •	How does the atmosphere make you feel? When you feel you’ve found your match, the true test will be when you fill your first prescription. Make a note on how they explain your new medication and how they treat you if you have questions about interactions or side effects. If the rising cost of medications or the desire to find the best deals online is important to you, sourcing out a reputable Canadian pharmacy is a great option. You can find cheaper brand name medications and quality generic drugs online which are dispensed either in Canada or from other verified overseas countries and then shipped right to your door. You’ll still want to be vigilant in how you choose your online pharmacy, though. Privacy and prices might drive you online, but safety should still be top of mind. The good news is, buying online from a reputable Pharmacy from Canada or elsewhere, is not only safe, but can save you tons of money when you choose a reputable pharmacy to work with. Look over those same reviews on Yelp, Facebook, etc.—then also hop over to PharmacyChecker.com and see what their ratings are. PharmacyChecker.com has been around since 2003 and has been providing patients with the details they need to save money with their prescriptions online. You can also swing by CanadianPharmacyReview.com to get more facts before ordering online. Look for pharmacies who have certifications right on their homepage: such as the Certified Canadian International Pharmacy seal, the Verified Internet Pharmacy Practices Site (VIPPS) seal from the National Association of Boards of Pharmacy (NABP), or PharmacyChecker.com’s certified seal. Check to see if the pharmacy has a mobile site and if they offer secure online payments through verified sources such as GeoTrust or SecurityMetrics. Remember to never buy from a pharmacy online who claims they can send you a prescription medication without verifying your doctor has prescribed the medication to you. One final thought, online pharmacies, such as those in Canada, also accept many online coupons and coupon codes. If you have a valid prescription that’s been verified to come from your doctor, head over to places like RetailMeNot.com. They’ll often have Rx coupons available there, such as a free Cialis Trial pack. What Are the Most Prescribed Medications in the US Right Now? What Does the Future of Pharmacy Look Like? With the sheer number of prescriptions being filled by people all over the world each day, it’s not surprising more pharmacies have had to open their doors in order to keep up with the demand. Often times, this means a small pharmacy opening up in a grocery store, box store, etc. Speed of processing prescriptions have come to the forefront, as consumers want their medications the way they want the rest of the things in their lives: quick. As technology progresses and the way we lean on it continues to increase, advancing tech such as artificial intelligence entering the pharmacy scene isn’t far-fetched. We already use biotech for medicines and utilize advanced technology to manufacture our medications to the letter. It’s not inconceivable that artificial intelligence of some kind could become the pharmacy technician of the future. We already have machines capable of filling prescriptions and even checking the chemical compound of the medications themselves. This, of course, can increase patient safety by reducing any human error. In some ways, this shift could be a wonderful thing because it can free up the pharmacist’s role, so they can focus more with patients by helping them answer some of the more difficult and intricate questions they may have. As time goes on, one can only guess how technology and AI will continue to impact the pharmacological roles, but one thing is for sure: things will evolve at a break-neck pace. Pharmacists and technicians alike will need to stay informed and abreast of the changes in technology, so they don’t find themselves caught off guard. There’s a lot to consider when looking for deals in prescription medications online and in person. Who knew there were so many ways to say pharmacy, for starters? We hope if you’re looking for one of the top 5 prescribed medications (or popular drugs like Viagra or Cialis) online or in person—you’re equipped with the knowledge you need to get the most out of your pharmacy. Because who knows, sometime in the future, you may be getting your pills dispensed by a machine. Carissa Andrews is a freelance writer, graphic designer, and author. You can learn more about her at her website.